I am not really a crab person. You won’t find me ordering any form of crab meat in a seafood restaurant, or experimenting with crabs in my kitchen. 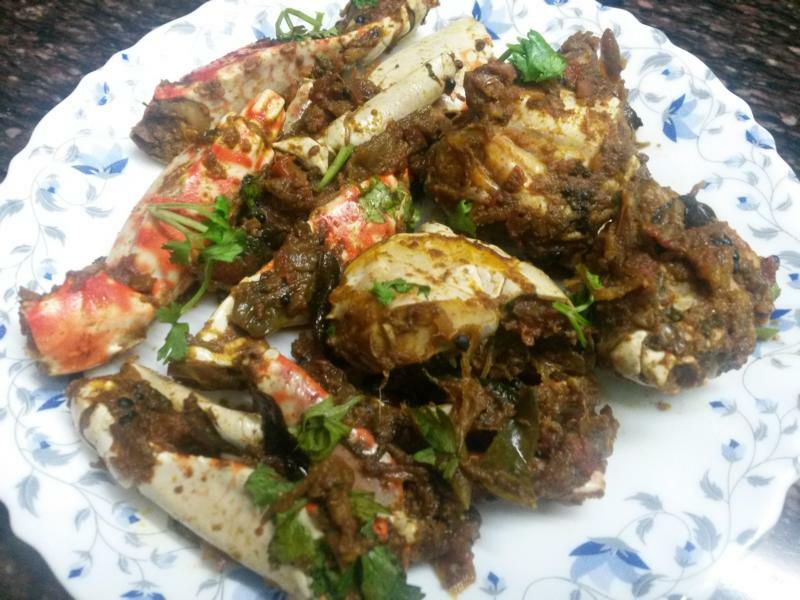 But I will definitely clean up the plate and lick my fingers everytime my mom cooks this crab roast masala. Infact, I barely ever make this myself. It is just one of those dishes that taste great when my mother cooks! Like the mutton stew made by her! Yummm… the thought of it makes me drool. But that is a recipe for another day. 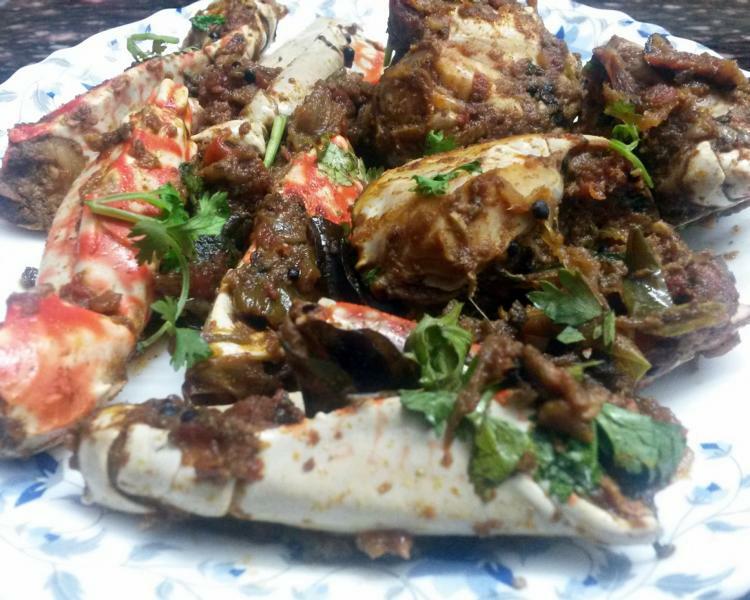 This is a spicy Kerala style recipe, excellent with rice or roti. 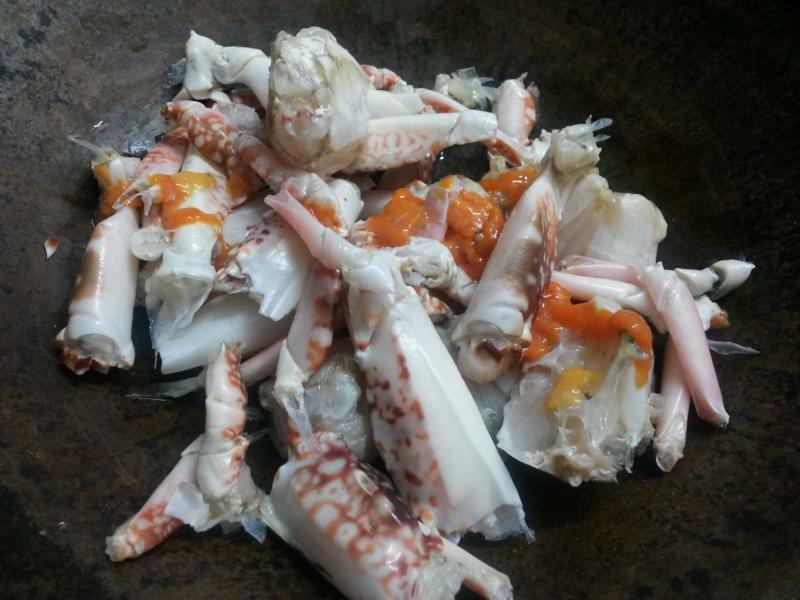 The shells are kept on and the legs are separated, to make it easier to eat. The main body can be kept whole or cut into two halves depending on preference. To clean the crabs, put them in a deep bowl, pour boiling water over them until completely covered and let it sit for 5-7 minutes. Then clean gently and cut as required. You will need some of the essentials – sliced onions, chopped ginger, garlic, tomatoes, curry leaves, coriander and mint leaves, mustard seeds, green chillies. As in most Kerala dishes, preferably use coconut oil for an authentic flavor. Start with mustard seeds in the hot oil, followed by onions. Add the ginger, garlic, green chillies and curry leaves. Fry for few minutes. 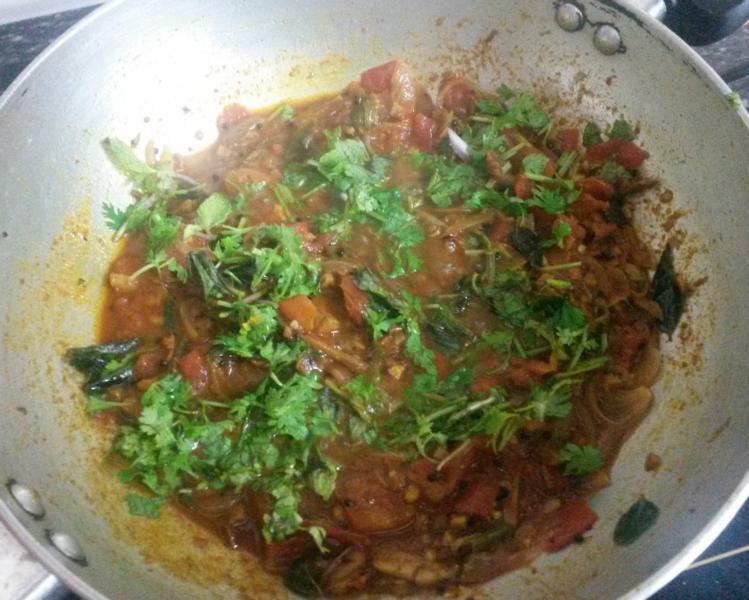 Add the spice powders – red chilli, turmeric, pepper, garam masala; Then the tomatoes and some water. Fry till the tomatoes become soft and the mixture looks like a paste. Add chopped coriander and mint leaves. 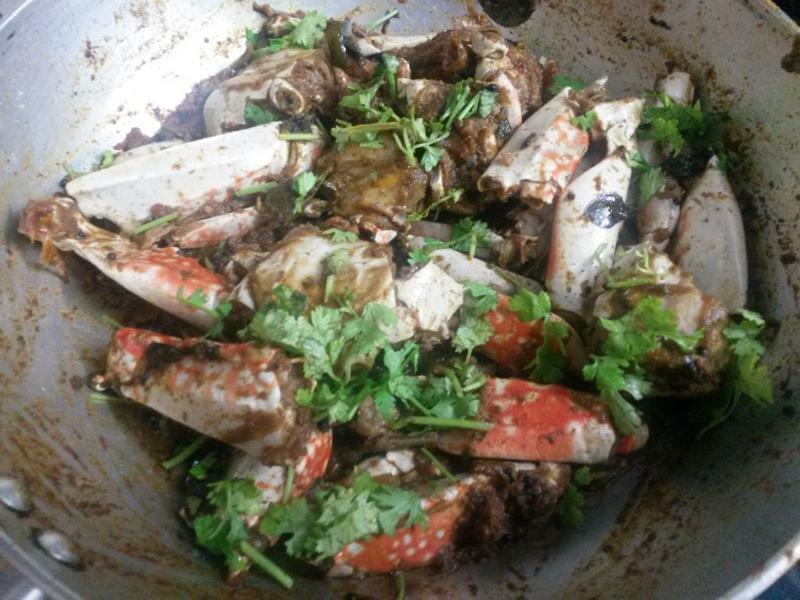 Add the crabs and mix well to coat them completely in the masala. At this stage, you can choose to continue cooking the crabs in the pan with a closed lid by adding some more water – this may take 15 – 30 minutes (depending on the type of crabs). Or you can transfer the whole mixture into a pressure cooker and cook for 6-8 minutes. Then transfer back to the pan and dry it out. Lastly add vinegar and more coriander. Heat 3-4 tblsp coconut oil in a pan and put the mustards seeds. 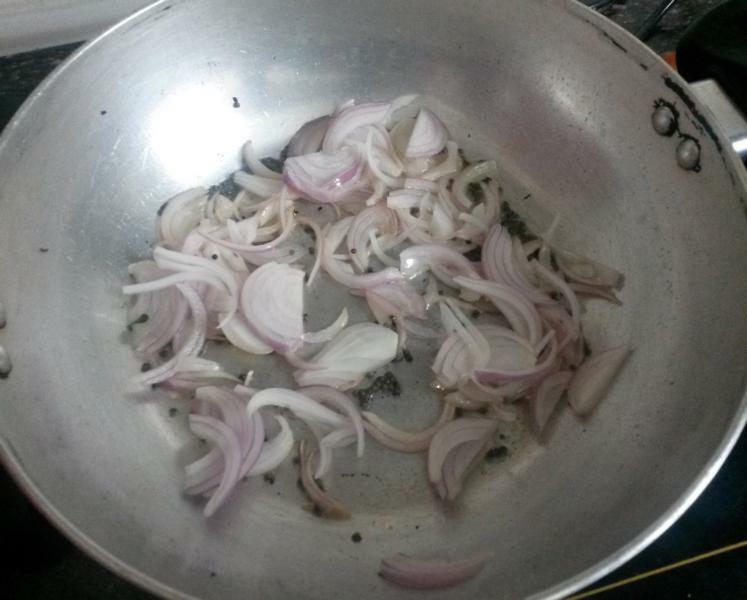 Once it begins to splutter add the onions, fry for 1-2 minutes. Add the chopped ginger, garlic and fry for another 1 minute. 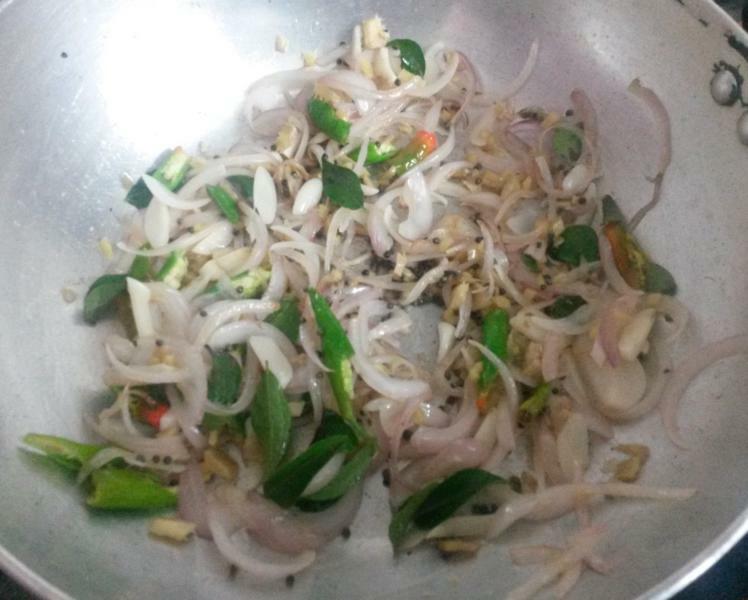 Add green chillies, curry leaves and fry for another 1-2 minutes. Next add the spice powders and fry till you can smell the aroma of the roasted spices. Follow this by adding tomatoes and little water. Fry till the tomatoes become soft and the mixture looks like a paste. Add 2 tsp chopped coriander and mint leaves. Finally add the crabs and mix well. Now transfer this mix to a pressure cooker. Cook for 6-8 minutes after the whistle comes. Transfer this back to a pan and dry out the water completely. Pour the vinegar and mix well. 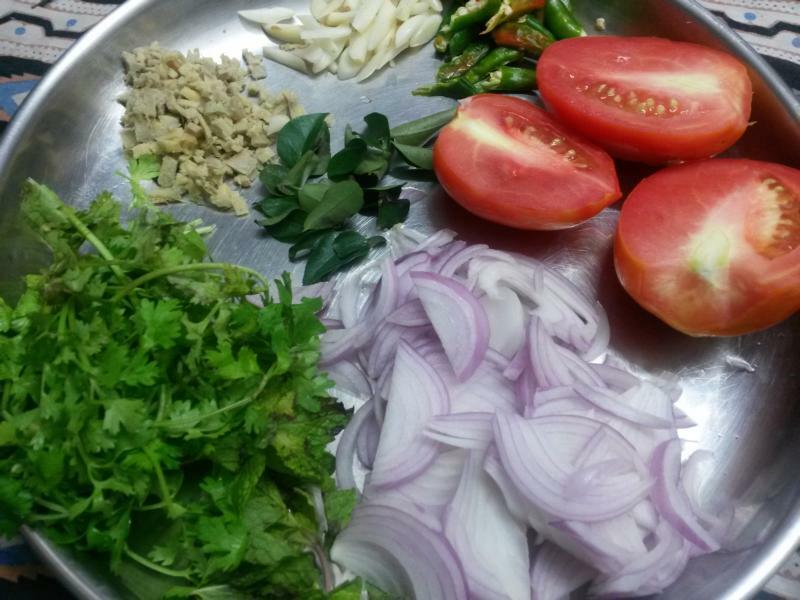 Garnish with coriander leaves and serve hot with rice. 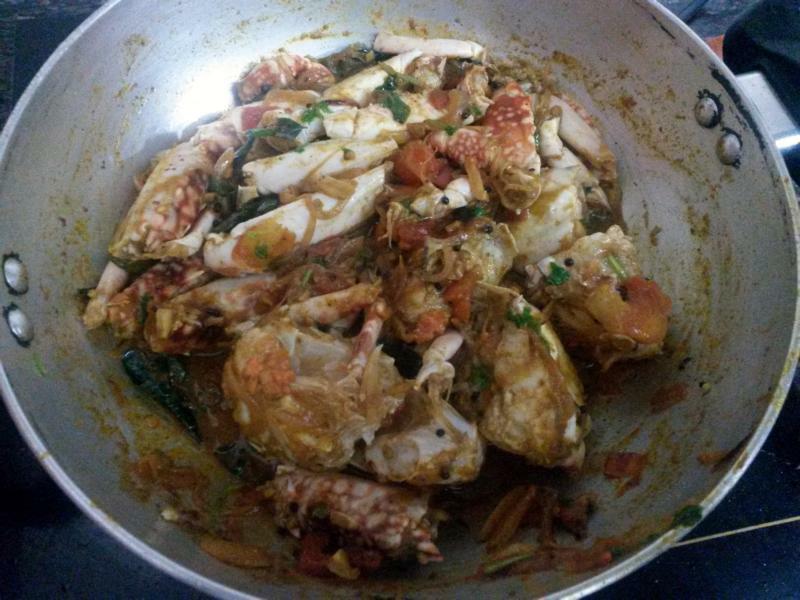 Note – If you are making the crab in a pan then it will take around 30 minutes for the crabmeat to get cooked (depending on the type of crabs you use). So in order to save time this was made in the cooker. The crabs look really delicious. I am not sure I can find some here but you’ve inspired me to look for and cook some. Thanks for sharing!